Part Four of an investigative report. This is the fourth and final installment of an investigative report uncovering and analyzing a global plan to capture and utilize the ocean's store of methane hydrates. The investigation reflects upon the decades of planning coordinated by the world's most powerful institutions, including the global banking and investment corporations, global fossil fuel energy corporations, United Nations, the OECD, the United States (US) Department of Defense, US Department of Energy, the administrations of each of the leading greenhouse gas-emitting states, and powerful NGOs. The report details why and how the coordinated planning evolved while keeping the public-at-large in the dark. Finally, the report explains why methane must be considered the most lethal contributor to climate change, according to the most recent and relevant science. Destination – Hell. Are we there yet? 16 June 2004: US Department of Energy meeting summary: "Alternatively, an undersea earthquake today, say off the Blake Ridge or the coast of Japan or California might loosen and cause some of the sediment to slide down the ridge or slump, exposing the hydrate layer to the warmer water. That in turn could cause a chain reaction of events, leading to the release of massive quantities of methane. Another possibility is drilling and other activities related to exploration and recovery of methane hydrates as an energy resource. The hydrates tend to occur in the pores of sediment and help to bind it together. Attempting to remove the hydrates may cause the sediment to collapse and release the hydrates. So, it may not take thousands of years to warm the ocean and the sediments enough to cause massive releases, only lots of drilling rigs. Returning to the 4 GtC release scenario, assume such a release occurs over a one-year period sometime in the next 50 years as result of slope failure. According to the Report of the Methane Hydrate Advisory Committee, “Catastrophic slope failure appears to be necessary to release a sufficiently large quantity of methane rapidly enough to be transported to the atmosphere without significant oxidation or dissolution.” In this event, methane will enter the atmosphere as methane gas. It will have a residence time of several decades and a global warming potential of 62 times that of carbon dioxide over a 20-year period. This would be the equivalent of 248 GtC as carbon dioxide or 31 times the annual man-made GHG emissions of today. Put another way, this would have the impact of nearly 30 years worth of GHG warming all at once. The result would almost certainly be a rapid rise in the average air temperature, perhaps as much as 3°F immediately. This might be tolerable if that’s as far as things go. But, just like 15,000 years ago, if the feedback mechanisms kick in, we can expect rapid melting of Greenland and Antarctic ice and an overall temperature increase of 30°F." Since writing the first 3 instalments of this investigative series, the race to drill methane hydrates has begun in Japan. New Zealand, in a joint venture with Germany, is the next in line to commence. 1 February 2011: "Seabed drilling exploration for methane hydrate in coastal waters, utilizing a world-class deep sea exploration vessel, is scheduled to start Saturday. In the planned exploration, the Chikyu is expected to drill 100 meters to 400 meters into the seabed, which lies at a depth of 700 meters to 1,000 meters. The geological structure of layers surrounding the hydrate, and the degree of stability regarding drill holes and pipes, are among the subjects to be surveyed. The Chikyu uses state-of-the-art equipment able to drill as deep as 7,000 meters under the seabed." On 11 March 2011, the world witnessed one of the most powerful earthquakes since 1900, devastating the country of Japan. It has resulted in anuclear catastrophe still unfolding. Lethal tsunamis followed the earthquake, and were not limited to Japan. A wildlife sanctuary situated on a tiny atoll near Hawaii lay victim to one such resulting tsunami, wiping out thousands of endangered seabirds and other animals. Exposure to radiationcontinues to threaten citizens as far away as California. On 3 September 2010 and 22 February 2011, the world witnessed two deadly earthquakes in Christchurch, Aotearoa (New Zealand). On 24 January 2011, a group of international and New Zealand scientists drilled directly into South Island's Alpine Fault - a massive fault line to investigate its structure, mechanics and evolution. Vast quantities of methane hydrates collect along geological fault lines. Japan sits atop a nexus of three of the world’s largest. On 24 February 2011, 15 days prior to Japan’s devastating earthquake, Dr Elisabetta Mariani, in an interview with BBC was asked if drilling holes in the major 'alpine' fault running through new Zealand was a good idea. She answered: "As scientists [we can say] ... there is another important drilling going on ... off shore the east coast of Japan ... and is going well and is successful and has not caused problems which the locals were concerned about so this is what we told [the New Zealanders] and what we tell you as well." On 7 March 2011, in response to the Arkansas Oil and Gas Commission, two US gas drilling companies agreed to suspend specific operations at wells near Arkansas after their work was linked to nearby earthquakes. Both Chesapeake Energy, based in Oklahoma, and Clarita Operating of Little Rock, informed the Arkansas Oil and Gas Commission that they have halted operation of the wells near Greenbrier and Guy. 800 earthquakes have hit the area in the past six months. One was a 4.7 quake – the strongest in Arkansas in 35 years. Is it possible, that either of the massive earthquakes which devastated Japan and New Zealand, can be connected to invasive deep drilling? As the late Carl Sagan, NASA Distinguished Public Service Medal recipient, has eloquently stated: Absence of evidence is not evidence of absence. 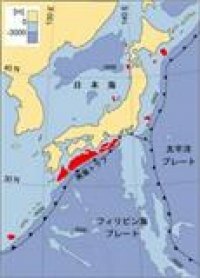 It appears that the recent drilling into the Nankai Trough fault line is not to blame in the case of Japan, as the fault line which ruptured is said to be different than that of the Tokai area, where the Nankai Trough fault line exists. However, the impact from the methane hydrate drilling, if it did proceed on 5 February 2011, as planned, is unknown. Methane hydrates, deposited on the seafloor, are present all along the Pacific coast from Kyushu to the Tokai district. The suggestion that human activity can cause seismic activity is widely accepted in the scientific community. A paper in the journal Oilfield Reviewpublished in 2000, noted that the connection between oil production and earthquakes dates back to at least the 1920s, when geologists in South Texas noted faulting near an oil field. In May of 2010, The Royal Society releases 12 research papers in the theme issue titled 'Climate forcing of geological and geomorphological hazards'. Top scientists call for research on climate in connection to earthquakes, landslides, tsunamis and gas-hydrate destabilisation observing that the "ongoing rise in global average temperatures may already be eliciting a hazardous response from the geosphere." From the editors introduction: "The sensitivity to climate change of gas hydrates, in both marine and continental settings, has long captured interest, in relation to its potential role in past episodes of rapid warming, such as in the Palaeocene–Eocene thermal maximum (PETM), and in the context of anthropogenic warming. In the first of a pair of papers on the subject, Maslin et al. review the current state of the science as it relates to gas hydrates as a potential hazard. The authors note that gas hydrates may present a serious threat as the world warms, primarily through the release of large quantities of methane into the atmosphere, thus forcing accelerated warming, but also as a consequence of their possible role in promoting submarine slope failure and consequent tsunami generation." The Nankai Trough subduction zone, located southwest of Japan, is one of the most active earthquake zones on Earth. This is a region notorious for generating devastating earthquakes and tsunamis with complex geological formations caused by tectonic plate thrusts. On 31 August 2010scientists returned from the first ever riser drilling operations in Seismogenic Zone, an operation named Nankai Trough Seismogenic Zone Experiment (NanTroSEIZE). The NanTroSEIZE expedition 332 completed expedition on 11 December 2010. Stage 1 (2007-2008) of the operation included discovery of methane hydrates. A third-party representative of the venture is Halliburton. There are numerous methane-hydrate deposits within the oceans surrounding Japan, shown in red on the map to the far left. They are found in the Nankai Trough, on the Chyoshi Spur, the eastern portion of the Japan Sea, and the southern Okhotsk Sea. The GSJ has calculated that these deposits combined, would yield 6 trillion cubic meters of natural gas (over a hundred times the amount consumed per year in Japan). (Source: Geological Survey of Japan) Image on right represents global methane hydrates. The overview of the first offshore production test of methane hydrate in the Nankai Trough undertaken by Japan Oil, Gas and Metals National Corporation (JOGMEC) can be read here. The final selection on the test location will be made by the end of March 2011. · 27 September 2010, The Guardian, Japan to drill for controversial 'fire ice': "Concerns had been raised that digging for frozen methane would destabilise the methane beds, which contain enough gas worldwide to snuff out most complex life on earth ... Jogmecacknowledges the problems, admitting mining of methane ice could lead to landslides and the devastation of marine life in the mining areas." · 3 October 2010, autobloggreen, Japan's trade ministry seeks $1b investment to drill for controversial methane hydrates: "There's a big risk involved, too. If the drilling is unsuccessful, some experts predict the attempt could destabilize the methane beds and trigger an environmental disaster of epic proportions. So, good luck!" · 15-17 November 2010, International Symposium on Methane Hydrates Resources from Mallik to Nankai Trough: "The primary goal of the symposium will be to provide an overview of recent research achievements by Japan to characterize methane hydrate in the Nankai Trough area, and by Canada and Japan to quantify the production response of permafrost gas hydrate in the Mackenzie Delta." On a side-note, scientists are planning to drill all the way through the planet's miles-thick crust to Earth's deep, hot mantle in order to retrieve samples for the first time by 2020. Will we drill ourselves to death? It appears so. The tragedy is this - solar and wind have never been known to cause meltdowns, tsunamis, landslides, cancers or sickness. Yet we all know that a society which is self-sufficient is the greatest threat to the fossil fuel economy and current power structures that exist today. This system has been and will continue to be, protected at all costs. Human life is expendable whereas corporate profits, economic growth and quarterly gains have all become absolutely sacrosanct. We are now past peak oil (International Energy Agency, 2006). This is leading to an investment drive for Arctic oil and gas, which holds 13 percent of the world's remaining oil and 30 percent of its gas. As conventional oil declines, the price of oil increases. Insatiable corporate lust for further profit results in dangerous high-risk drilling operations, while even the most expensive regions become economically viable. Oil and gas corporations plan extensive drilling in the Arctic regions. In September 2010 a UK corporation, Cairn Energy, commenced drilling for oil in Greenland's Arctic waters. In January 2011, BP received approval to drill for oil off the Russian Arctic shelf. Most revealing, on 16 March 2011, a US presidential commission charged with investigating the Gulf of Mexico oil spill issued recommendations for approval and regulating of oil drilling off the coast of Alaska. Ocean Ice Meltdown + Permafrost Thaw + Venting Methane Hydrates + Tundra Warming/Nitrous Oxide = Arctic Methane Time Bomb. Today's global warming of less than 1ºC has enabled the oceans to warm to the extent that the unimaginable has happened. The fuse has reached the Arctic methane hydrates, which are melting on the ocean floor. This single factor is the most dire emergency to all life on the planet today. If this time bomb is allowed to detonate, it will wipe out life on this planet. Although governments have been targeting a 2ºC temperature rise – which would be cataclysmic – today (barring technologies to cool the planet and remove CO2 from the atmosphere safely) we are absolutely committed to at least a doubling of today's temperature increase (which is 0.8ºC) within a few decades. (The Ramanathan and Feng 2008 paper, based on GHG emissions alone (without feedbacks), demonstrates a 2.4ºC eventual warming if atmospheric greenhouse gas forcing continues at today's levels: "Lastly, even the most aggressive CO2 mitigation steps as envisioned now can only limit further additions to the committed warming, but not reduce the already committed GHGs warming of 2.4°C.") This paper cites a risk range of up to 4.3°C as the commitment. All the components for the runaway scenario that James Hansen speaks of are now operant at 0.8ºC. Abrupt runaway warming adding an additional 1ºC per year is a possibility that could start anytime. This understanding comes from ice core studies of the Younger Dryas abrupt global temperature change event. The end of the Younger Dryas, about 11,500 years ago, was particularly abrupt. In Greenland, temperatures rose 10°C (18°F) in a decade or less. Acknowledging that this rate of warming can occur from an ice age low, as terrifying as it is, is most critical to our understanding of abrupt, non-linear climate change. With the precautionary principle in mind, we must assume that such a non-linear response is more likely today than in the past, due to the continued pouring of greenhouse gases into the atmosphere during an already warm period (Shakhova et al., Extensive Methane Venting to the Atmosphere from Sediments of the East Siberian Arctic Shelf). The Arctic Shelf is, in fact, already perforated. This means it has already reached – or gone beyond – the thaw point. The large underwater permafrost "lid" over the East Siberian Arctic Shelf, specifically, is perforated and methane continues to escape into the atmosphere (Shakhova et al.). This may cause a 12-times increase of the modern atmospheric methane burden with consequent catastrophic greenhouse warming. In 2008, Shakhova and Semiletov warned that it is "highly possible for abrupt release at any time." These findings represent the closest humanity has ever approached to a literal doomsday scenario. Venting methane represents the single most catastrophically dangerous effect of global warming to all life on Earth. The rise in the atmospheric concentration of methane had stabilized since year 2000, however, since 2006 it has been increasing again. Climate scientists have determined that these methane emissions are carbon feedback, meaning, the warming of the planet is causing the planet to emit more methane. Methane carbon feedbacks place us firmly on the brink of runaway global warming and climate disruption. The most feared effect of global warming has commenced. Methane carbon feedbacks are adding to the heat radiation of global warming by increasing the atmospheric methane concentration. Furthermore, the increase in the concentration of atmospheric methane continues to accelerate. The release of methane into the atmosphere is the greatest threat to date in the realm of our current climate emergency. Yet, scientists, in general, have been remarkably silent on even this issue, the gravest of risks. Some scientists have now taken the position that they cannot make any claims that this is a "new" threat without knowing whether the methane hydrate emissions are new or not. However, this position makes no difference to our plight and perhaps even makes the threat worse, as methane gas escaping from methane hydrates today will increase, most likely rapidly, as the global temperature increases. Sonar data from the West Svalbard continental margin recorded in 2008 have shown the presence of methane bubbles emanating from the seabed up-slope, from the upper limit of the methane hydrate stability zone. In the same area, the ocean has warmed by 1°C during the last 30 years. In 2009, it was discovered that 250 plumes of methane gas bubbles had erupted from the seabed off the West Svalbard continental margin (Westbrook et al.). Ronald Cohen of the Carnegie Institution for Science in Washington, DC, says it is a striking result: "What's amazing is that they see such enormous quantities of methane." The methane being released from hydrates in the 600-square-kilometre area studied likely adds up to 27 kilotonnes a year, which suggests the entire hydrate deposit around Svalbard could be releasing 20 megatonnes a year. If this process becomes widespread along Arctic continental margins, tens of teragrams of methane per year could be released into the ocean. At present, most of the methane reacts with the oxygen in the water to form carbon dioxide, another greenhouse gas. In sea water, this forms carbonic acid, which adds to further ocean acidification. The Arctic ocean water is acidifying rapidly. Research indicates that 10% of the Arctic Ocean will be corrosively acidic by 2018; 50% by 2050; and 100% by 2100. In October 2009, Professor Jean-Pierre Gattuso, of France's Centre National de la Recherche Scientifique, said: "Over the whole planet, there will be a threefold increase in the average acidity of the oceans, which is unprecedented during the past 20 million years." To date, almost none of the Arctic (or anywhere else) has been surveyed in a way that might detect methane releases like the Svalbard releases. Two things are certain: the two shelves – the East Siberian Arctic Shelf and the West Svalbard continental shelf – are in motion to emit a massive amount of methane; and the IPCC has omitted methane feedbacks, the most dangerous aspect of climate change, from reports and models. Shakhova's studies have been critical in understanding the dire urgency we have before us. Prior to Shakhova's findings, scientists long feared that this scenario could happen, generating huge positive feedbacks in the enhanced greenhouse effect from GHG emissions, but assumed methane escaping into the atmosphere was not a possibility for at least another century. This delay-in-release theory, now proven to be mistaken, was based upon scientists' assumptions and their models with minimal evidence. This is just one example of why we must stop modelling when we are already acutely aware we are in the greatest emergency our species has ever faced. Models, based on future predictions (which have already proven to be dangerous, optimistic and incorrect – minimizing our sense of an emergency), enable a society and state governments to deny our current reality, effectively eradicating humanity's possibility for survival. Sergei Zimov, a scientist studying climate change in Russia's Arctic for 30 years, fears that as the permafrost thaws and as the organic matter in it becomes exposed to the air, global warming predictions will have to be drastically accelerated, even beyond some of the most pessimistic forecasts. Zimov: The thawing permafrost "will lead to a type of global warming which will be impossible to stop…. The deposits of organic matter in these soils are so gigantic that they dwarf global oil reserves." Zimov continues: "US government statistics show mankind emits about 7 billion tons of carbon a year. Permafrost areas hold 500 billion tons of carbon, which can fast turn into greenhouse gases…. If you don't stop emissions of greenhouse gases into the atmosphere ... the Kyoto Protocol (an international pact aimed at reducing greenhouse emissions) will seem like childish prattle." It is critical to reiterate how abrupt shifts in climate can occur in very short timescales. Ice core evidence is key. Greenland ice core records show that during the last glacial stage (100,000 – 11,500 years ago) the temperature there alternately warmed and cooled several times by more than 10ºC. This was accompanied by major climate change around the northern hemisphere, felt particularly strongly in the North Atlantic region. Each warm and cold episode took just a few decades to develop. Most of Earth's extinction events have now been linked to extreme climate changes and for most of these extinction events, methane hydrates have been cited as playing a role. Today, we CAN reduce our CO2 emissions from fossil fuels, whereas we WILL NOT BE ABLE TO reduce methane emissions once they begin to accelerate once they begin to accelerate from carbon feedback. Such massive natural forces will take over and change our world and be absolutely out of our control. Such an event will initially likely result in the melting of the Antarctic icecap, which would raise sea levels by 50 metres, as well as, completely change the climates of the world. It is therefore beyond obvious that today's 0.8ºC temperature rise is ALREADY too high to keep the Arctic permafrost safe. Therefore, in order to avoid the possible catastrophic methane feedback that could be imminent, we must prepare to cool down the planet immediately, instead of continuing to aim for a deadly 2ºC target – recently revised upwards by the Tyndall Centre for Climate Change Research from a dangerous level to an extremely dangerous level. In the following video titled Methane Hydrates: Natural Hazard or Natural Resource? (2008 | 53:08) Renowned geochemist Miriam Kastner discusses whether or not methane hydrates are a hazard to climate change. 19:20 into the video Kastner shows fascinating film footage which clearly demonstrates the extreme instability of hydrates. Ultimately, melting and venting hydrates will, on our current emissions path, prove to be deadly. Ultimately, drilling hydrates to burn further gas will also prove to be deadly. The only solution is to declare a planetary state of emergency – to stop burning all fossil fuels. The role of scientists in explaining the implications of non-decision is critical, yet scientists have been remarkably reticent to publicly criticize what they have privately slammed as totally unacceptable and inadequate targets. The few scientists who are vocal run the risk of being effectively ignored, ridiculed or silenced due to corporate-controlled media and the psychological manipulation of society. 11 January 2011: In an interview with Dr. Peter Carter, a founding director of the Canadian Association of Physicians for the Environment,Carter accurately conveys our dire reality: "Tragically, with few noted individual exceptions (such as John Holdren, James Hansen, Hans Shellnhuber, Kevin Anderson, Andrew Glikson), the climate scientists, and all the science organizations, are sticking to their policy of what is, in effect, dangerous climate change denial. They avoid talking 'dangerous climate change' or warning of climate catastrophe. To eradicate any doubt on accelerating climate dangers, climate scientists would have to say and explain how today's unavoidable amount and duration of global warming, climate disruption, and ocean acidification are now catastrophically dangerous to our survival and to most of life." Carter continues: "According to Stephen Schneider, 'The IPCC does not determine risks and does not define what would constitute dangerous interference with the climate system. The IPCC says that defining the dangerous climate change is a value judgment that only the policymakers can make.' (The late Stephen Schneider's website is here and he discusses the issue in this paper.) The scientists in general are sticking to this policy. National and international climate policy discussions are being based formally on the absurd assumption that dangerous climate interference is still some time in the future that can still be avoided, so there is no emergency. James Hansen asked the climate scientists to support his 2008 public statement that 'We really have reached a point of a planetary emergency,' but none have. With no prospect of rapid drastic emissions reductions, we all need to be most gravely concerned for the future of humanity and all life. We need climate scientists to understand that public and formal silence on the catastrophic climate change dangers (or risks) to the huge, most-vulnerable human populations, to the future of civilization and to humanity is, in effect, a powerful value judgement." It is beyond reckless for scientists to continue to insist on, thus wait for, absolute proof. Society must not accept this. Rather, we must demand action based on the risk of unparalleled magnitude, which embraces the precautionary principle. We continue to ignore methane in the same way that world governments and scientists continue to ignore the global food security crisis we will face if temperatures are allowed to further increase. The universally recognized risk science formula is Risk = Probability x Magnitude. This is a precautionary formula when it comes to large damaging magnitudes. The IPCC assesses probability for the policy makers, but does not include magnitude. To make matters worse, the probability results are derived from computer models invented by the climate scientists. The probability, is in fact, only as reliable as the models, and the data fed into the models. The models are all experimental – the computer runs are called experiments. Therefore global heating due to methane hydrate presents a massive risk of planetary catastrophe – today. We are in an abrupt global greenhouse gas heating event right now, with the atmospheric concentration of global warming greenhouse gases being increased thousands of times faster than any previous heating event in the history of planet Earth. By waiting for "absolute" proof, we are effectively guaranteeing that we will have no chance in hell at preventing runaway climate change once these irreversible feedbacks are fully operation. To wait until these feedbacks are ABSOLUTELY underway just so we can say there is no scientific "uncertainty" is nothing less than progenycidal negligence. Imagine if you will, that it is 1 a.m. You are awake in your home. You look outside only to see, to your horror, that your neighbour's house is on fire. Maybe they are sleeping – should you wake them up? Maybe they are enjoying a glass of wine and would rather not be disturbed. What should you do? What if they don't have any house insurance? Should you wait until the next day and check with them first? What if their children become frightened by the fire? You don’t know with 100% certainty that it will keep burning. It may go out on its own. Maybe it's best not to tell them. Of course this is ridiculous. You would call the emergency number immediately because you recognized an emergency. So why are we not screaming "Emergency!" at the top of our lungs, when our entire planet is burning up and all of our children are in it? All of the climate change assessment projections are based on computer models developed by climate science modellers. If the models lack reliable data the projections cannot be relied on. All of the model results have wide ranges of uncertainty. The 2007 IPCC Report used the statistical mean of these wide ranges of results, up to the boundary of a 90 percent ‘confidence level’. The range is assumed to achieve practically full scientific certainty, however, a wide range has to mean a high level of uncertainty. This clever playing with numbers practice is in violation of the precautionary principle (adopted by the UNFCCC in 1992) which affirms that where there is a threat of climate change, the lack of full scientific certainty should not be used as a reason for postponing measures to prevent the threat. Had the IPCC respected this principle from the adoption and onset, they would have explicitly considered risks of higher temperatures and greater impacts above the mean, up to and outside the boundary of a 90 percent confidence level. They would have explicitly considered, thus included, dynamical melting of the Greenland and Antarctic Ice Sheets, and non–linear responses to drivers of climate change. This would have provided the world a far more accurate measure of the climate crisis, a crisis allowed to escalate into the emergency situation that we now find ourselves in today. The Earth's temperature has increased 0.8ºC. While CO2 concentrations in the atmosphere have increased 34 percent, methane gas concentrations have skyrocketed – increasing a staggering 158 percent. Yet, the scientists essentially disregard methane as a major issue. Couple this with the fact that methane is 72 to 100 times more heat trapping than CO2 in the short term and the phrase "don't scare the horses" comes to mind. The climate system turns out to be far more sensitive than the IPCC has assumed for their global temperature projection models and their global climate change assessment. All of the climate change assessment depends on the value calculated and used for the ‘climate sensitivity’. The climate sensitivity is provided from the results of computer models. All of the models give an immense range - particularly for the upper most sensitive range. 19 October 2010, Rolf Schuttenhelm: "Climate sensitivity is a term used for the expected atmospheric temperature rise for a doubling of CO2 concentrations. Combining all the relevant atmospheric research published up to the end of 2004, the IPCC in its 2007 Fourth Assessment Report (WG1, chapter 2) reached the conclusion climate sensitivity would be between 2 and 4.5 degrees Centigrade, with a 3C rise as ‘best estimate’. World leading climate researchers of NASA (James Hansen) and for instance the Potsdam Institute for Climate Impact Research (Hans Joachim Schellnhuber) have since argued true sensitivity could be twice as high when including slow climate feedbacks, like Arctic methane, deep-sea methane or increased biodegradation of ecosystems, leading to further CO2 emissions, all following an initial (industrial) CO2 induced temperature rise. These slow feedbacks lead to the runaway warming scenarios with exponential damage. Somewhere over the climate politics-filled years of 2008 and 2009 the world lost track of the basics of climate science. While the new insights and publications on slow-acting climate feedbacks were worrisome to many – others hoped for comfort in denying the basic triggering factor, the climate effects of high anthropogenic CO2 emissions, mostly due to the abundant use of fossil fuels. Although the IPCC report clearly mentions fast-acting climate feedbacks, like water vapour and ice albedo, as important contributors to expected temperature rises, somehow we allowed a flawed focus to develop on the molecule of CO2 itself. Meanwhile we risk losing focus on the slow climate feedbacks. If new climate research proves the findings (‘adding slow feedbacks creates another doubling of warming’ -> 6 degrees (PDF)) of people like Hansen and Schellnhuber right, then communicators of climate science should really consider to once again extent the definition of true climate sensitivity – or establish a new term that clearly includes the (long-term) CO2-temperature responses of other Earth systems than solely the atmosphere, like oceans and terrestrial biosphere. " Amongst the most obvious of climate change facts is that abrupt greenhouse gas heat energy situation is happening today, yet scientists are currently doing research into the "probability of abrupt climate change." If this is not a complete reflection of our self delusion and denialism – I'm not certain what is. Just consider the well known IPCC 10,000 year graphs of temperature and radiative forcing. The increase in today's temperature, CO2 and methane is a vertical line. This abrupt rate of heating has never happened before – indeed we are warming over 10 times faster than the ice core record, and this is will become 25 times faster by 2100. Greenhouse gas levels now exceed anything seen over the past 800,000 years or more. Scientists, after telling us for decades we must adapt to a catastrophic 2ºC, are now producing papers on how we will have to adapt to 4ºC. This is modeling madness. By doing this the scientists are exposing humanity to a huge risk of global climate catastrophe. This madness is effectively preventing any possibility of an emergency climate response. Modelling for future catastrophe, is effectively distracting us from the climate emergency we face, dead on, today. Further madness has made its presence known. As methane hydrate melting and venting accelerates – securing our path to extinction – scientists have now begun to do modelling on the hydrates. Recently, it appears that leading methane scientists, who have been instrumental in sounding the methane alarm (based on their observations that the warming Arctic is driving the thaw and methane venting due to anthropogenic climate change), are being pressured by other scientists to provide "absolute proof" that the thaw and venting have not been occurring for reasons other than human-made warming. If my daughter is pushed off the playground equipment, causing a broken arm – her arm needs a cast. Urgently. It makes no difference who pushed her. Given the unparalleled enormous risks, the precautionary principle should certainly take precedence. The risk formula can be applied for such a colossal catastrophic impact, even when there is too little data to calculate a reliable probability. The grim reality coupled with common sense tells us unequivocally that the Arctic temperature is only going one way – upward. Therefore, at some point it will hit the thaw point (if it has not done so already) and no modeling is necessary to understand this simple fact. "Catastrophic emissions cannot be ruled out." That is a main statement when pouring over scientific papers on methane. It reads like a disclaimer along with the cautious language of possible, could, and other select language that allows us to continue denying our reality. Today, the majority of published climate science is all framed to allow the fossil fuel industry to not only survive, but continue growing and globalizing. When reviewing scientific papers, one cannot find any references that address the absolute necessity of stopping fossil fuel combustion. The most important component of stabilizing our planet's climate simply is not addressed. It is both revealing and ominous that proponents of the exploitation, which includes scientists, are suggesting that we now have to extract the methane to make the hydrates safe. Extracting the methane is unavoidably dangerous as this would depressurize the local environment. The gas extracted from the methane hydrates will be burned to drive the fossil fuel world economy – emitting huge amounts of CO2 in the process. All of the IPCC scenarios currently used, accept that our world economies are dependent and locked into fossil fuels - thereby legitimizing the fossil fuel industry.